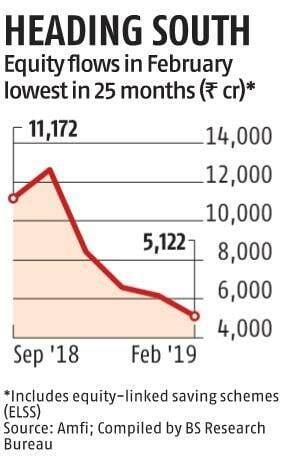 Equity flows for the Rs 23-trillion mutual fund (MF) industry in the country continued to slip for the fourth straight month in February, falling to Rs 5,122 crore. This included equity-linked tax-saving schemes. This is the lowest in 25 months. Compared to the average inflow over the past 12 months of Rs 9,825 crore, the February figure was 48 per cent lower. Industry officials cited a fall in trailing returns and a ban on upfront commission as reasons for the current situation. “The decline was inevitable as one-year returns have been negative. This has disappointed new investors. 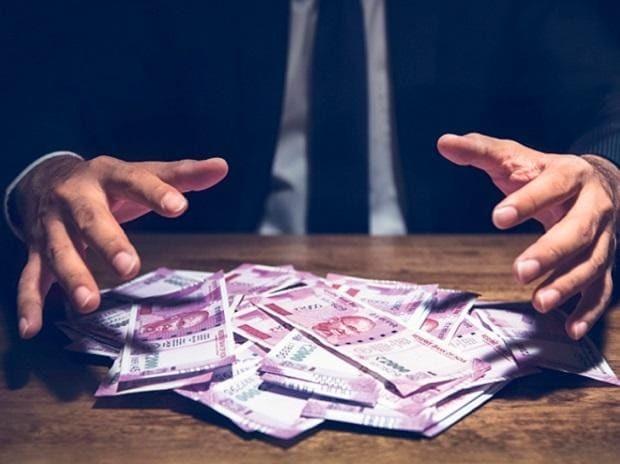 The ban on upfront commission has also dented sales,” said Radhika Gupta, chief executive officer (CEO), Edelweiss MF. Experts said if the recent rally in prices of mid- and small-cap stocks sustained for long, it could help improve investor sentiment and attract higher flows. The BSE Mid-Cap and the BSE Small-Cap indexes have delivered positive returns for three weeks in a row, gaining 6.2 per cent and 9.6 per cent, respectively. However, the past year has been painful for new investors who invested in mid- and small-caps with hopes of staggering returns. In 2018, the BSE Mid-Cap and the BSE Small-Cap index have declined 13 per cent and 23 per cent, respectively. Others, however, feel things could improve even before the Lok Sabha election results are out. Aashish Somaiyaa, managing director and CEO of Motilal Oswal MF, said flows could improve if the outcome of the election points to stability and there is a broad market rally. Another category facing a rough time is the balanced schemes. In February, there was an outflow of Rs 1,077 crore from balanced schemes, for the second straight month. The equity-linked saving scheme got Rs 1,174 crore. Experts said March will be critical for tax-saving schemes, since these got large inflows towards the end of the financial year. The total outflow in the MF industry was Rs 20,083 crore, with liquid schemes losing the most money at Rs 24,509 crore. For income schemes, outflows stood at Rs 4,214 crore. While equity flows have remained under pressure, industry players take comfort in the sizeable contribution through systematic investment plans (SIPs), even though the SIP book is barely growing on a month-on-month basis. The SIP contribution for the mutual fund industry stood at Rs 8,094 crore in February, which was less than the 1 per cent growth recorded over the previous month. The overall assets under management for the MF industry shrunk marginally to Rs 23.16 trillion.